The Dumfries & Galloway property market is returning to good health, boosted by investment in tourism in the region according to Galbraith. Galbraith has published its sales report for the second quarter of 2018 (April – June), which showed an increase in sales of 62 per cent through the firm’s Castle Douglas office, compared to the previous quarter and an 8 per cent increase in the supply of high quality homes. Initiatives such as the creation of the new Rhins of Galloway Coast Path and the Whithorn Way are set to further boost visitor numbers to the area, the firm believes. We are seeing encouraging signs of rising buyer confidence in the market and increased activity from both buyers and sellers, such as the notable increase in market appraisals we have undertaken. Dumfries & Galloway is a spectacularly beautiful region, but prices here are among the lowest in Scotland, which means that those seeking an idyllic rural lifestyle should consider this area above all others. The tourist economy is certainly growing and has had an undoubted effect on demand for property from buyers locally and nationally. The recent BBC TV series about Galloway Forest generated enquiries from prospective purchasers from across the UK, inspired by the captivating scenery and lifestyle on offer. We also have the Stranraer Oyster Festival and Castle Douglas Food Town accreditation which are indicative of our high-quality, artisan food producers. This new walking trail in Wigtownshire will be a further boost for the region. The long established Southern Upland Way, which starts in Portpatrick, has always been a fantastic showcase of the beauty of Dumfries & Galloway, offering amazing views out onto the North Channel, over Knock Bay, with stunning coastal cliffs to the north. Beaches here are among some of the most unspoilt and lovely in the whole of the UK, but we haven’t seen the booming prices that many other coastal regions have experienced. The average price of property sold by the office in Castle Douglas this quarter was £240,000, making Dumfries & Galloway one of the most affordable regions in Scotland for prime property. Prospective buyer activity also contributed towards a healthy property market in Dumfries and Galloway with property viewings through Galbraith up by 24 per cent compared to the preceding quarter and the number of prospective buyers registering with the Castle Douglas office increasing by two per cent in comparison with the same period last year. Market appraisals conducted by Galbraith in Dumfries & Galloway were up by 45 per cent year on year. In Dumfries & Galloway, sales to buyers from the rest of the UK stand at 31 percent, while Scottish buyers represent 69 per cent, demonstrating the appeal of the region to house hunters nationally. The Whithorn Way is a recently completed 149-mile walking trail from Glasgow to Whithorn, following a pilgrimage route which originated thirteen centuries ago. Wigtown Book Festival has announced that for its opening evening in September writers and bloggers will each chart different sections of the Whithorn Way. 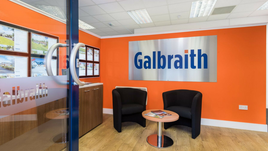 Across Scotland as a whole, Galbraith handled over £54 million worth of property sales over the past quarter. The lettings department in Castle Douglas also enjoyed a busy quarter with a 17 per cent increase in lets agreed compared with the preceding quarter. The number of viewings conducted for the period increased by 15 per cent compared with the same quarter last year. The average time taken to let a property in Dumfries & Galloway was just two days! Landlords should be reassured that there is no shortage of tenants looking for attractive property to rent in Dumfries & Galloway. 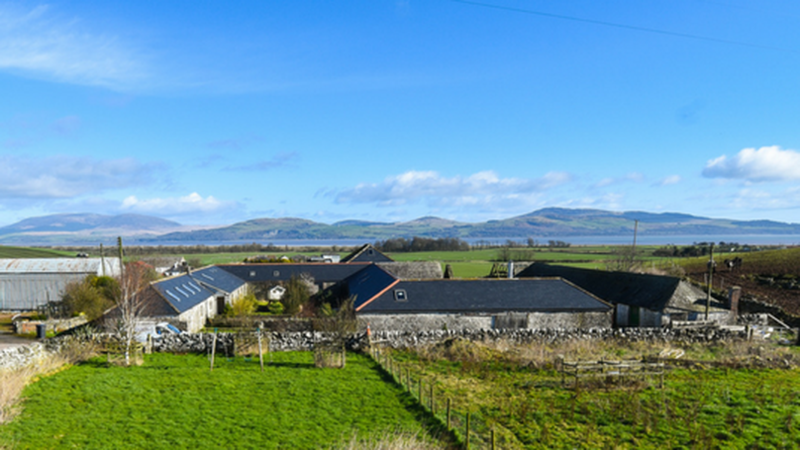 There is significant and continuing demand for good quality rural cottages, and property in a good location in and around Castle Douglas and Kirkcudbright. When these properties come on the market they are likely to secure a tenant very quickly.